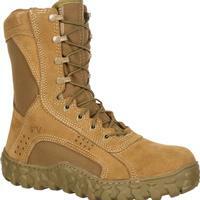 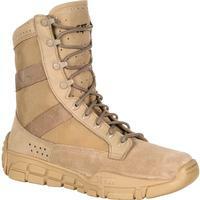 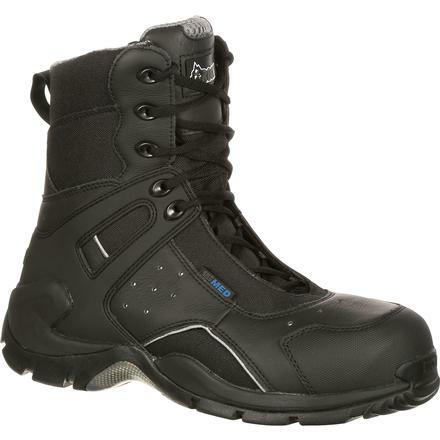 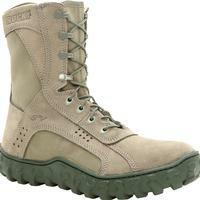 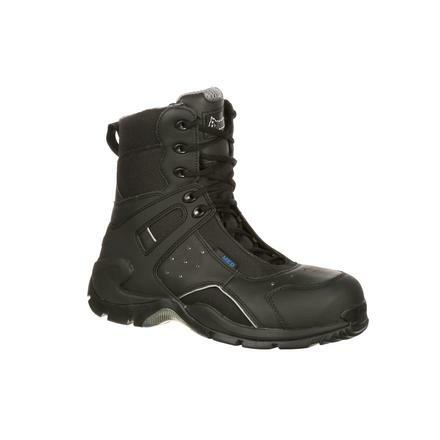 This guaranteed Rocky® Waterproof boot was designed with an EMT in mind. 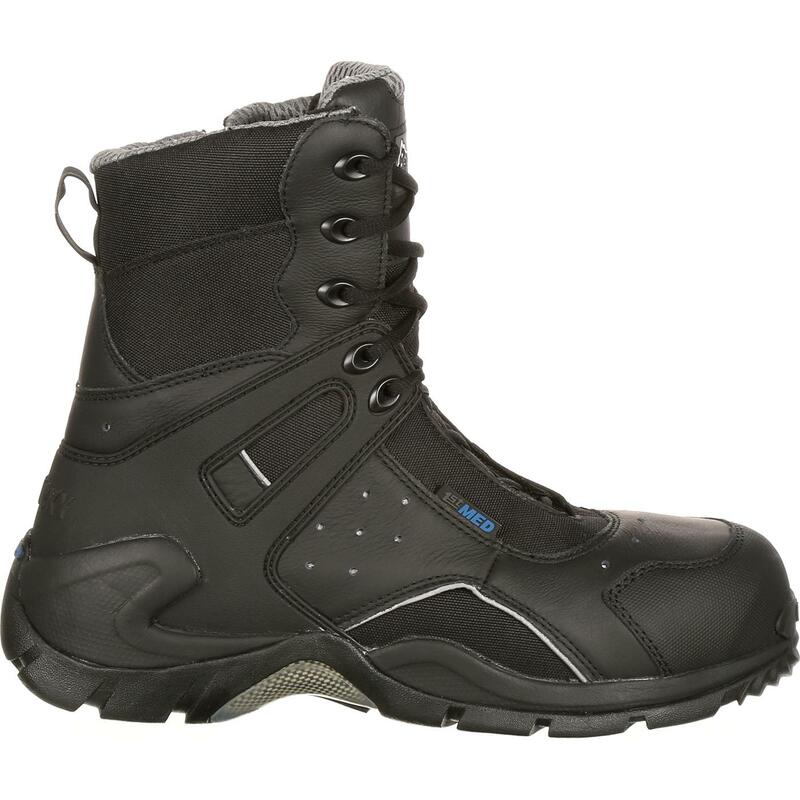 Created with many safety features, the medical duty boot is bloodborne pathogen resistant, which is safer for EMTs. 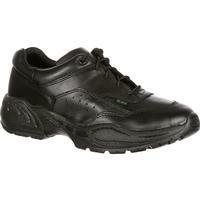 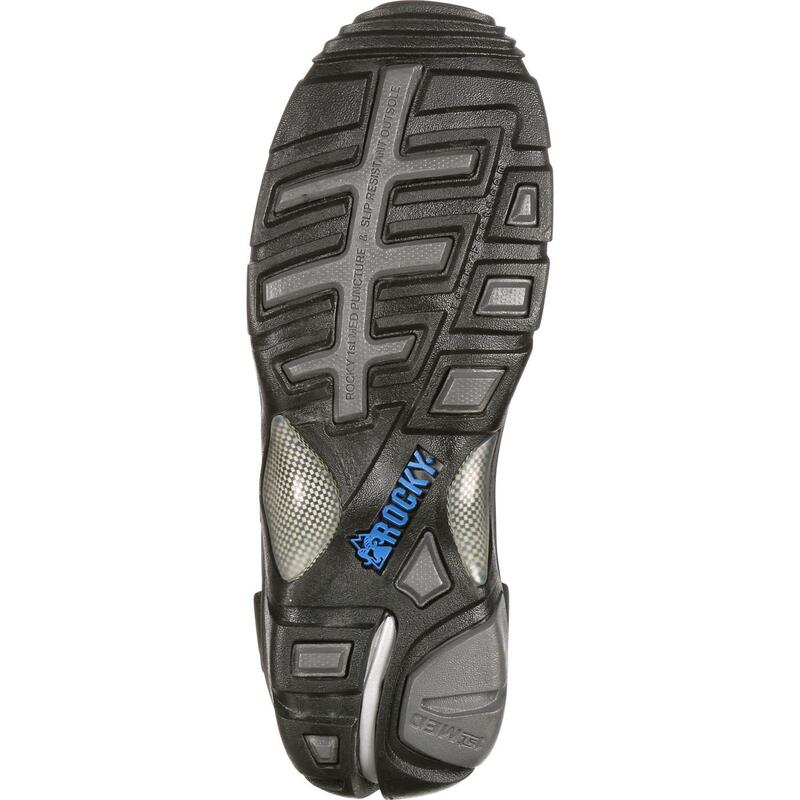 The footwear complies with the ASTM F2413 electrical hazard standard, which provides secondary protection against accidental electrical contact, in addition to having a rubber outsole. 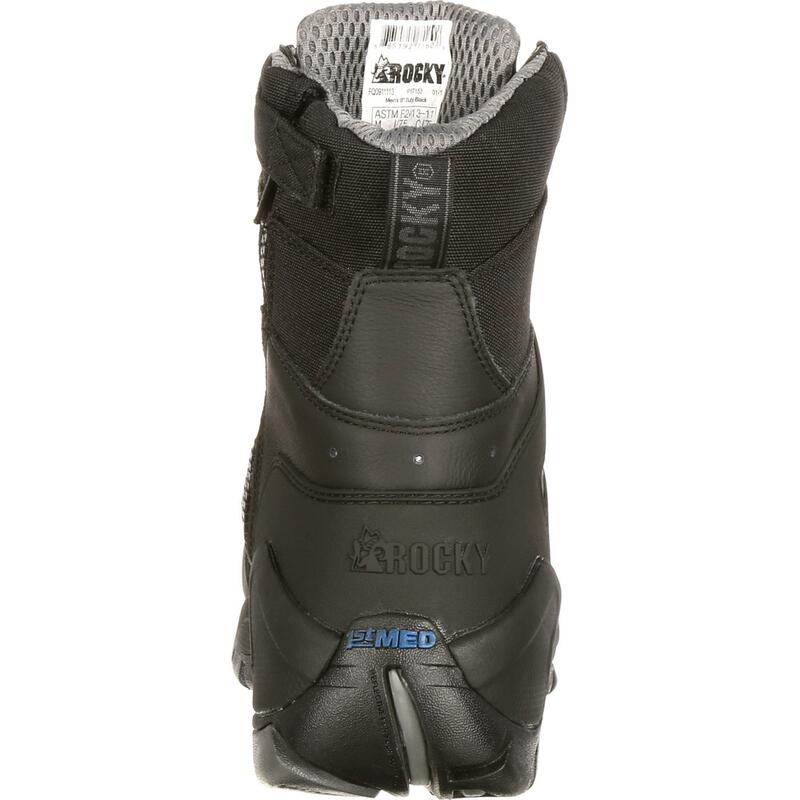 The protective toe of the Rocky 1st Med Carbon Fiber Toe Puncture-Resistant Side-Zip Waterproof Boot is made from carbon fiber and meets the ASTM F2413 protective toe classification. In addition, the quality-constructed Rocky® boot has Lenzi puncture-resistant plate, and is made of full-grain leather and CORDURA® nylon. 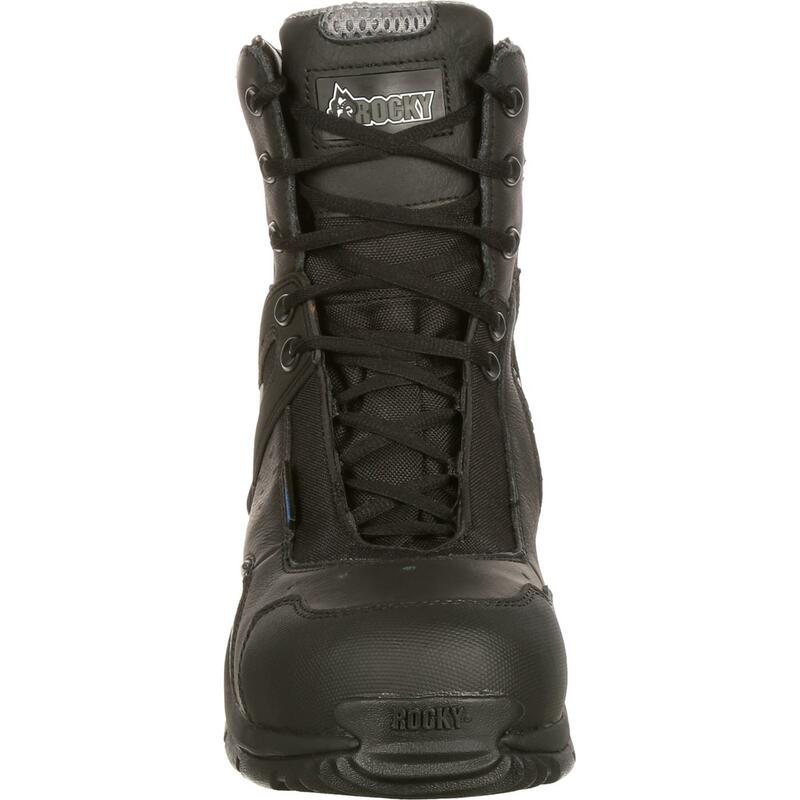 The practical, black boot has reflective highlights so it's easily seen, and it's slip-resistant for whatever smooth and slippery surfaces you encounter. 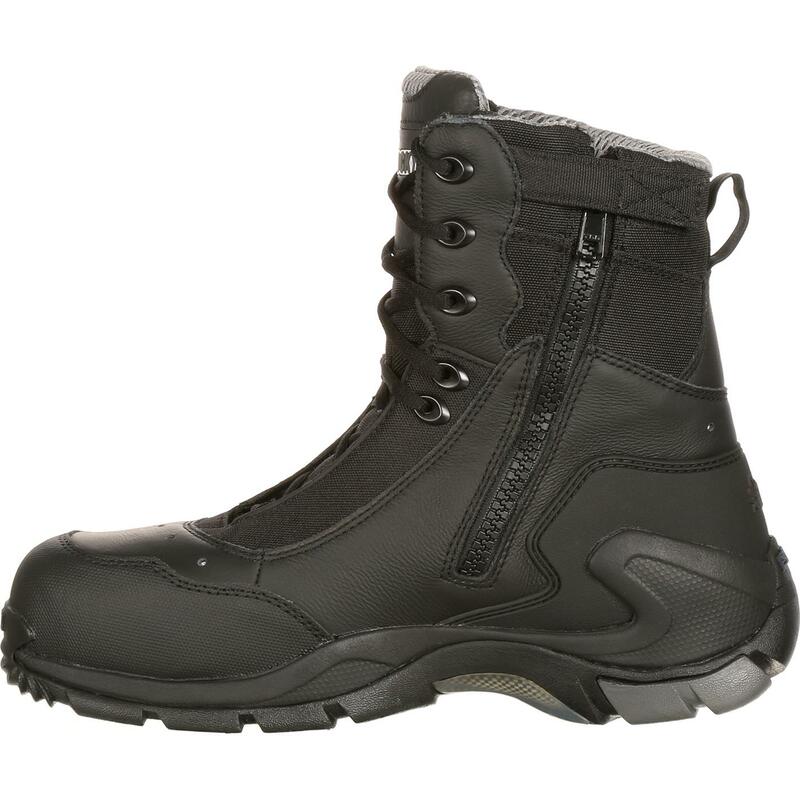 Get yourself a pair of Rocky Boots®, and experience their safety and performance.